The referee didn’t go upstairs to see if Javier Hernandez was wronged. OPTUS isn't the only one having teething problems at this World Cup. The telecommunications company - which secured exclusive rights to broadcast the tournament Down Under - has been slammed by fans who have been unable to watch streams of matches because of repeated technical failures. But technical difficulties haven't been limited to Australia. This year's World Cup in Russia is the first to use VAR technology to review decisions - and just a handful of days in it's clear the system is responsible for as many problems as it is solutions. Australian Josh Risdon became the first player in World Cup history to give away a penalty after the intervention of the VAR when the referee in the Socceroos' 2-1 loss to France initially called play on before reviewing his call and awarding a spot-kick, which Antoine Griezmann converted. The Aussie players and former great turned SBS football analyst Craig Foster didn't believe it was a foul but ex-Socceroos defender Craig Moore said after viewing replays, he agreed with the penalty call. There was also controversy when a Diego Costa goal stood for Spain in its tournament opener against Portugal. Whistleblower Gianluca Rocchi used the VAR and deemed Costa had not fouled Pope just before receiving the ball, even though football fans around the globe argued the Spaniard elbowed the defender in the face and knocked him to the ground. While those are instances are of people disagreeing on the outcome of a VAR review, one of the biggest problems this World Cup has exposed has been the lack of clarity in when to actually call for a replay. 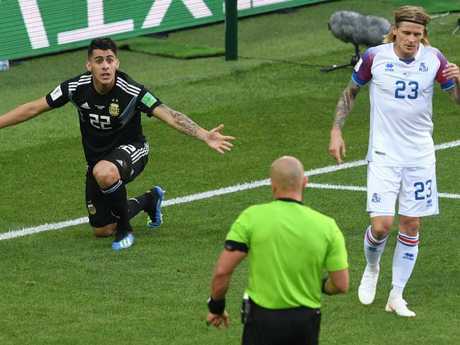 The referee in the Argentina vs Iceland clash didn't go to the VAR to take a closer look when Christian Pavon went down inside the box. It was ruled play on but replays showed an Iceland defender clipped him and brought him to ground. Pavon appeals for a penalty. Former Socceroo Alex Wilkinson can't understand why some 50-50 calls are being reviewed while others aren't. "The way it's implemented is a little bit confusing and needs to be a little bit clearer," Wilkinson told Optus Sport on the weekend. "That's what I don't understand. Why isn't the person up top saying, 'You've got to look at this'?" Fellow Optus Sport analyst and former Premier League and A-League star Michael Bridges was adamant Pavon deserved a penalty. "It was a blatant penalty and that didn't go to VAR," he said. "This didn't go to VAR. "Why (use the VAR) for the Socceroos and why not for this one?" In Monday morning's 1-1 draw between Brazil and Switzerland, the South Americans had reason to feel hard done by when two decisions went against them. When Steven Zuber headed home for the Swiss equaliser five minutes into the second half but there was a suggestion he pushed Miranda in the back to create extra space for himself. Despite Brazil's appeals, the referee chose not to use the VAR. Socceroos great Paul Okon told Optus Sport: "Zuber actually pushes Miranda under the ball. He's not able to challenge, he can't jump. "If Miranda falls down on the ground then maybe it does go to VAR. "If we didn't have VAR we probably wouldn't be discussing it. "Brazil can feel hard done by that the referee didn't have another look at it." Miranda himself didn't understand why the referee was so hasty to keep the game rolling. "I was pushed out of the way. There is video of what happened and the referee could have seen it. But it didn't happen," Miranda said. The referee also chose not to look at the screen when Swiss defender Manuel Akanji grappled with Gabriel Jesus inside the area. Jesus took a tumble when Akanji wrapped his arms around the Brazilian's torso, but again, no foul was given. The other shock result to come on Monday morning wasn't without its VAR controversy. 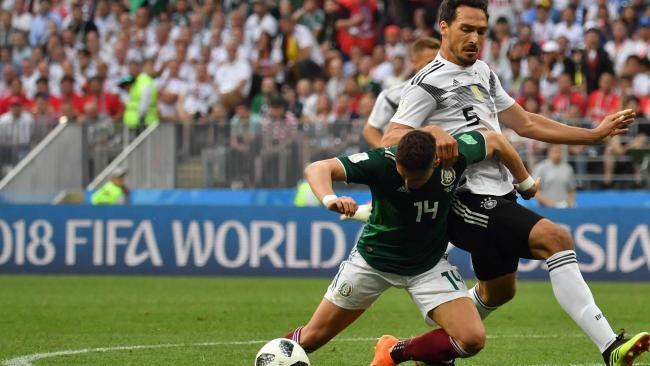 Mexico defeated Germany 1-0 and with a little over 20 minutes remaining Mexican striker Javier Hernandez latched onto a perfectly weighted through-ball only to hit the turf after a challenge from a defender in the box. Mats Hummels had his arm over Hernandez's shoulder but Germany breathed a sigh of relief when no review was forthcoming. In just a handful of days the VAR has become a hot topic in a way World Cup organisers would have been dreading. Confusion around how referees are expected to use the technology means there are complications even before fans have time to complain about the merits of a decision. 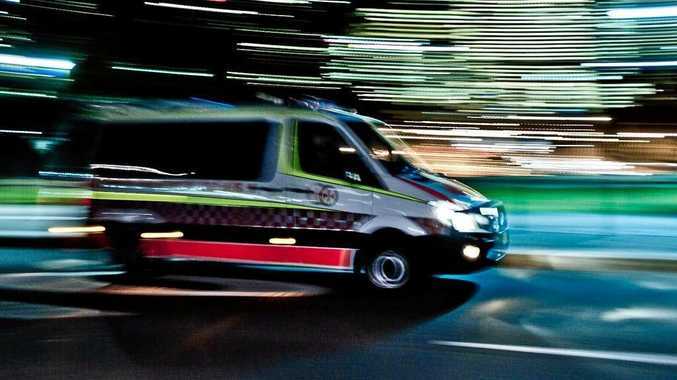 A system that was brought in to eliminate errors is now causing more conjecture. In the pursuit of black and white only more grey has emerged - and given what we've seen so far, that's unlikely to stop any time soon. As Bridges said: "This is going to go on all tournament … there's still massive flaws in the VAR."